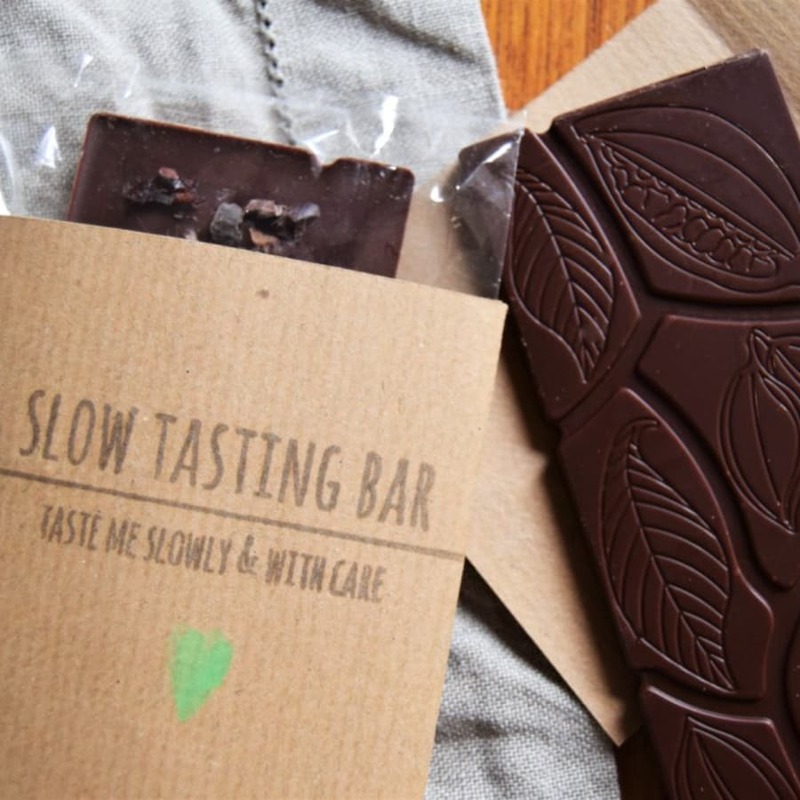 In a busy world, this is an evening dedicated to slow: slow tasting, slow eating and slow chocolate. Take some time out to breathe, taste and get connected during this gentle session. 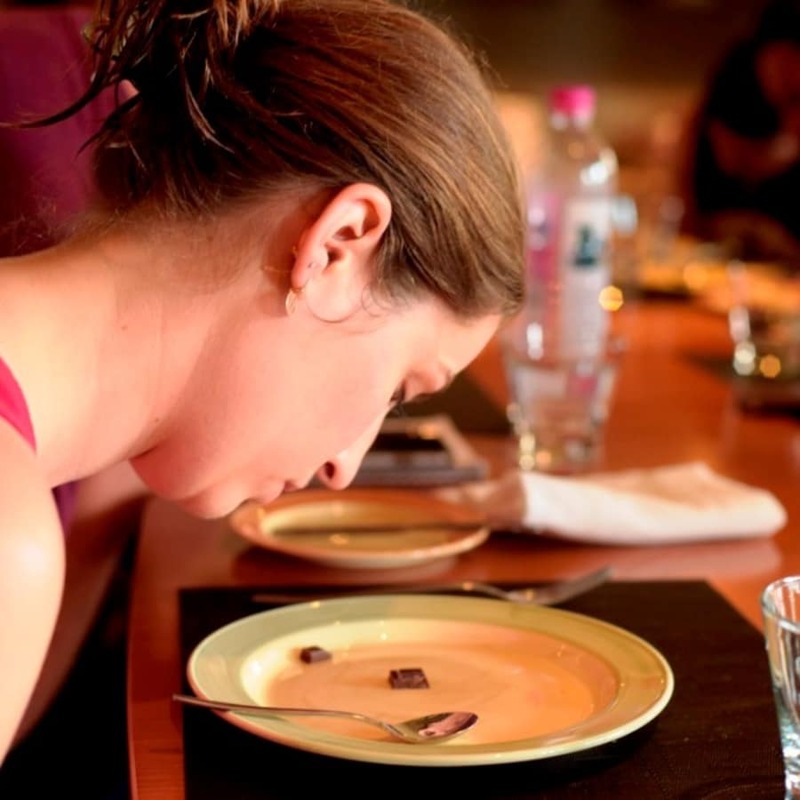 We’ll taste our way through some different types of dark chocolate, using all the senses. Chocolate is a beautiful ingredient full of aromas and is the perfect ingredient through which to experience the joy of slowing down. I’m on a mission to help people bring a little calm to their bellies. After many years of suffering from digestive issues, slower living and slower eating has been a key part of the way I manage my symptoms. That and a healthy dose of good chocolate! The evening combines a little focus and lots of fun, along with general chococolate chilled-out-ness. It’s perfect for chocolate lovers and anyone who just feels the need to slow down a little. There will be plenty of time for discussion and questions if there’s anything you’d like to know more about. 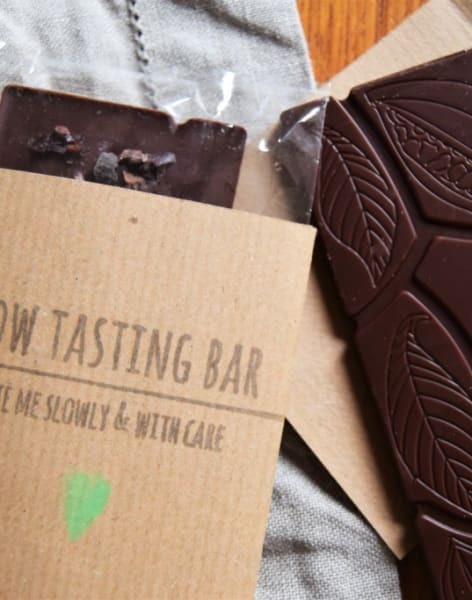 The chocolate we’ll taste is from beautiful British bean-to-bar brand, Pump St Chocolate, which is what I use for my own chocolate making. Meredith Whitely of Food At Heart is mindful eating guide, meditation teacher and passionate lover of all things cacao. She helps people bring calm to their bellies through eating (and living) in a more connected, mindful and delicious way. Food At Heart workshops involve all the senses and explore how you can use this sensory understanding in tasting and living. The sessions bring together a healthy mixture of fun and focus. 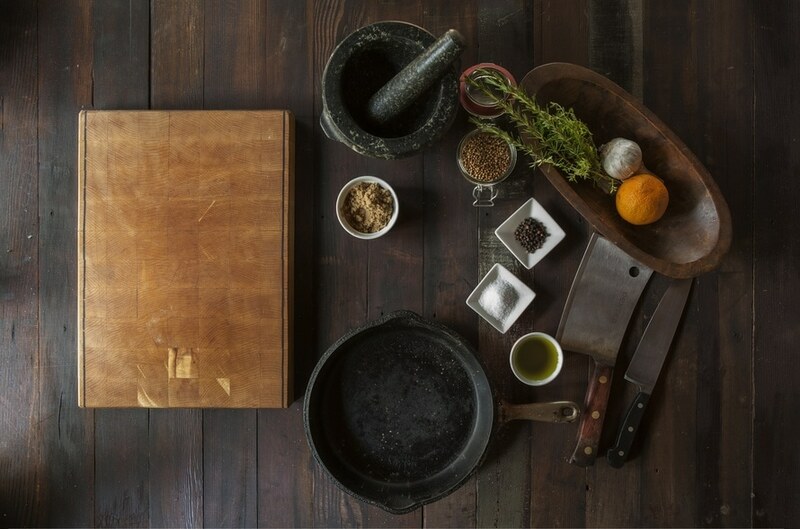 Food At Heart events also place much emphasis on the sustainable elements of food, using seasonal and organic ingredients wherever possible, with remarkable outcomes!